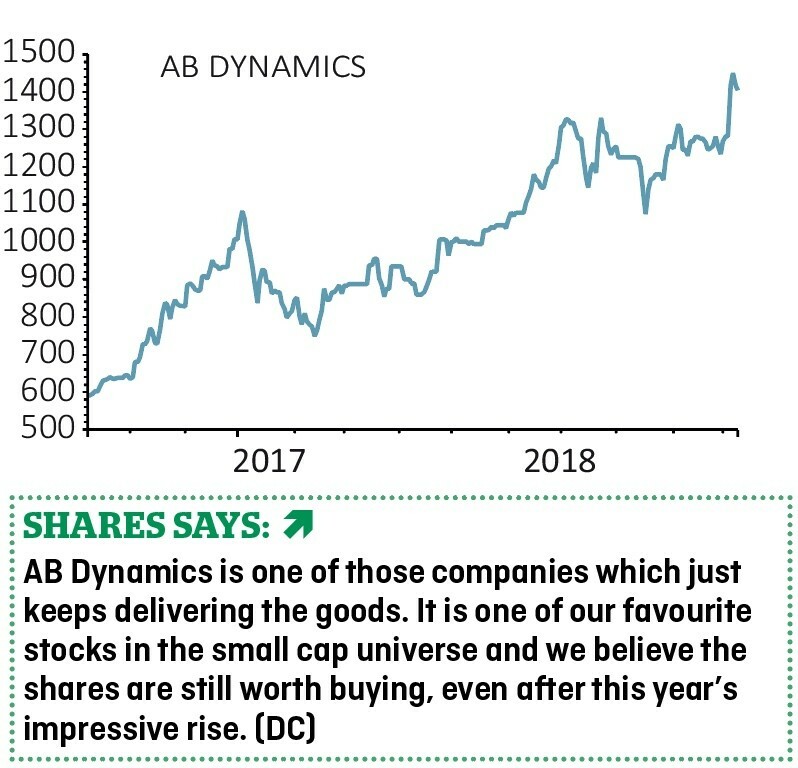 A very impressive trading update on 4 October has given another lift to AB Dynamics (ABDP:AIM), one of our top picks of the year. The automotive testing expert says revenue and pre-tax profit for the year to 31 August 2018 has ‘significantly’ exceeded previous market forecasts. We’ll get a better idea of the numbers when the results are published on 14 November. That event will also be the first chance to hear from new chief executive James Routh who started on 1 October, although it may be too early for him to comment on any big strategic plans. 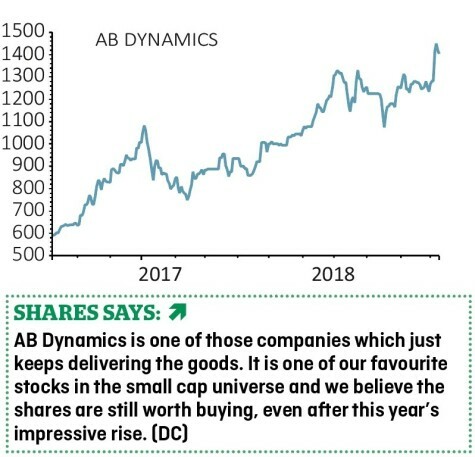 ‘We think that the group is likely to have seen strength across a number of global geographies with commensurate levels of sales and deliveries in the ADAS targets and steering robot businesses,’ says Gareth Evans, an analyst at Progressive Equity Research.